Orders will be shipped within 48 hours of purchase. Orders are typically delivered in 3-7 business days, unless specifically noted. Easy 2 get Furniture makes shopping convenient and easy with our free delivery service on orders over $499. Our delivery service is only available to addresses within 50 miles of our warehouse zip code 90003. 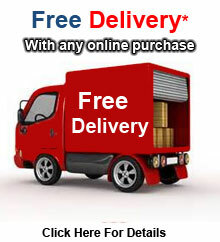 Our free delivery service includes placement of furniture or boxes to threshold of the main door. We are not responsible for assembling of product with our free delivery service. So make arrangements. Some of our merchandise requires light assembly and comes with proper hardware, tools and instructions. *$80 delivery fee within 50 miles of our ware house on orders under $499. Easy2GetFurniture recommends our assembly and set up services for a one-time fee of $80 for all your merchandise. So the more you buy, the more you save. 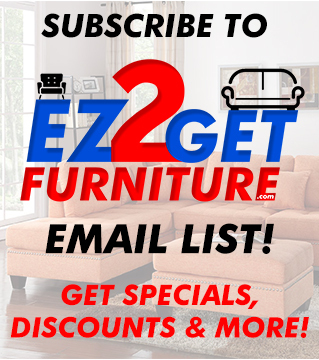 Special timing request email us at delivery@easy2getfurniture.com. If change is needed for delivery date, please contact us as soon as possible at delivery@easy2getfurniture.com no later than the day before your scheduled delivery to reschedule. If our delivery team arrives and you are not available for delivery of your merchandise and our delivery team has to return for a second time you must reschedule for a different day and pay a $50 fee. Please make sure you call or email us as soon as you know you will not be available for the delivery of your furniture. You will receive a call before our driver leaves our warehouse for your delivery from one of our delivery associates. Make sure someone over 18 years old is at the residence at time of delivery. We hire qualified professionals that will take care of your furniture, so please remove any obstacles that could be in their way. One of our representatives will contact you by phone or email to inform you when your order is available for pick up as soon as it arrives. If your items require assembly you can either request assembly for only $48 or receive merchandise in box which is easier to transport and less likely to get damage. Assembly is very easy and straight forward for most items. All packages come with assembly instructions and the proper tools needed. If upon opening a box you notice a manufacture defect on any item or missing pieces, please contact us immediately at customerservice@easy2getfurniture.com with your invoice number and pictures of the defected items. We understand instances although rare may accord, so please be patient and we will try to resolve this situation as soon as possible, you have up to 5 days to notify easy2getfurniture.com of any defect or missing pieces. Make sure you keep the original box since we will need to take these items in its original packaging to get a replacement. When assembling your furniture, be sure to always follow the easy instructions manual, to prevent any wrong assembling. We do not make exchanges for misassembled items. If your item needs assembly you will be notified during the confirmation of your order. Please note that if delivery is required you need to allow an extra 1 – 2 days for your furniture to be available for pick up. If client must return furniture there will be a restocking fee of 20% not including the delivery. If you have any more questions please Contact Us or visit our Terms and Conditions.